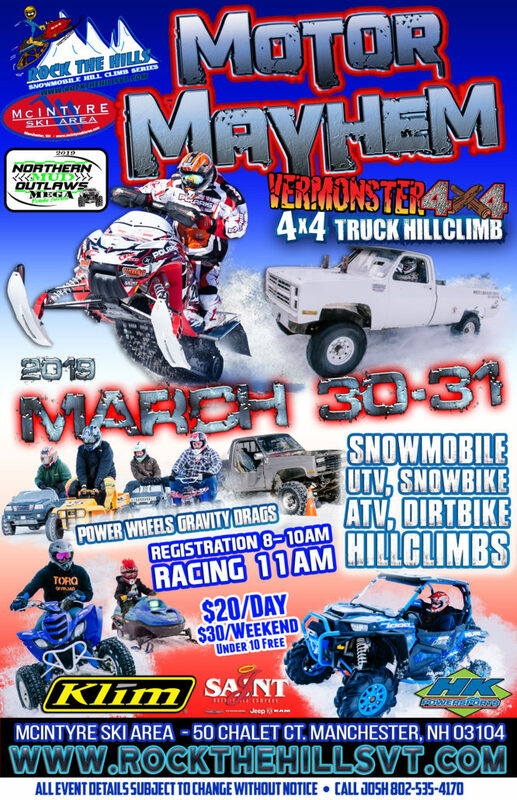 Teaming up for the 8th year, Rock the Hills and Vermonster 4×4 present Motor Mayhem! Children under 10 enter free! Once again we will be racing everything with an engine and new this year we’re even racing without an engine! We have classes for 4×4’s, dirt bikes, snowmobiles, ATV’s and UTV’s! Also part of the mayhem is the gravity powerwheels race! That’s right…. adults will be competing in this crazy downhill race!